I just picked this set up for a winter project, probably a few winters. 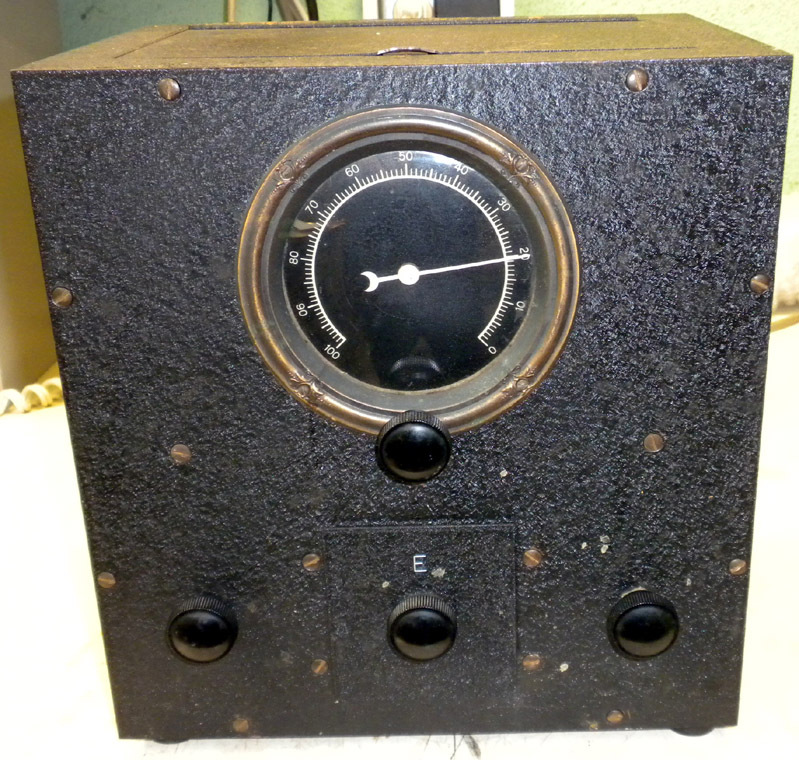 The only name on it is "POSTAL RADIO" on the right tuning dial. It has a chrome chassis, and uses 4 long square plug in coils for tuning. There is a 9 tube "International" model from Postal Radio in Gernsback's 1934 Short Wave Manual. 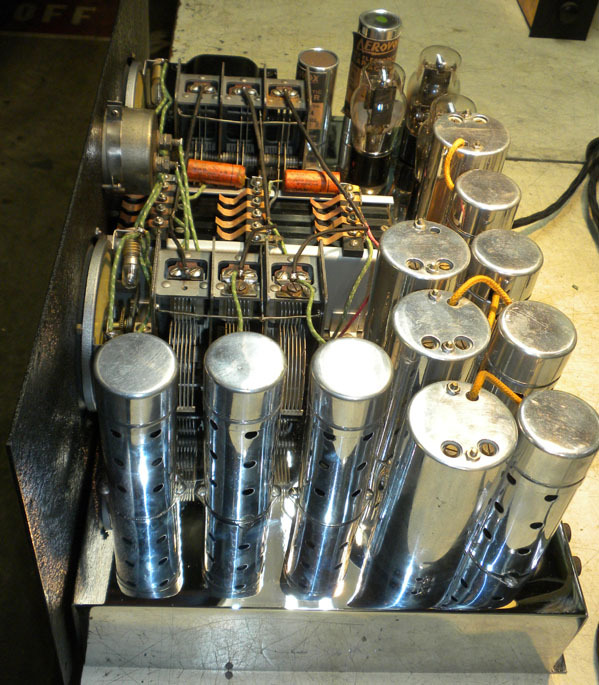 It uses a plug-in coil unit with three coils in a rectangular plugin subchassis. Thanks for the information, just have to find a copy now. This set has 10 tubes. That looks like a real interesting receiver. I wonder how the circuit compares to the National AGS? I have a soft spot for the early pre-War boatanchors -- and the smaller and more obscure the company, the better. According to my copy of Moore's, "Communication Receivers, The Vacuum Tube Era 1932-81", Postal Radio of 133/135 Liberty St., New York, NY was around for only two years: 1934-1935. 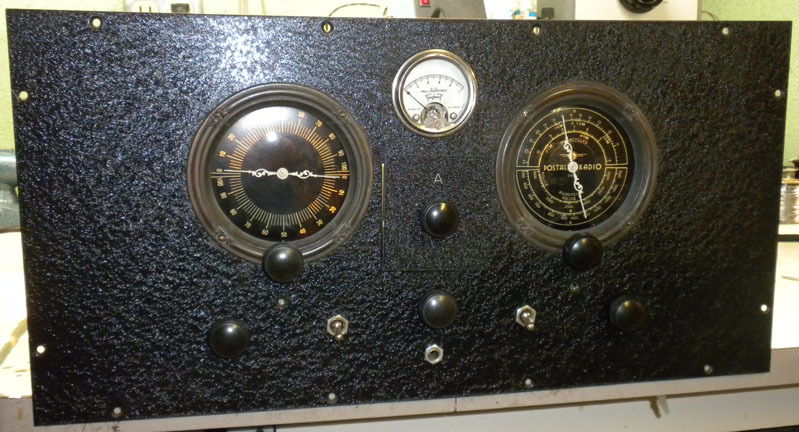 Yours is the 1935 model that tuned .55-23mhz. Other than a listing of the tube lineup, Moore only notes the triple-gang plug-in coils along with a picture. You have a rarity -- hang on to it! Well, it's hard to believe it's been almost 10 years since I started this thread, and harder to believe I thought I would have this radio restored in a few months! It was pretty much a basket case, but for some reason I thought it was special. First thing that had to happen was strip everything from the chassis so it could be re-chromed and glass bead all the other metal work to remove the rust. Well after I gutted it, making sure I took many pictures of the component placement and wiring, I come to find out there isn't a schematic of this set anywhere. The 9 tube schematic was available and Chuck N7RHU gave me information where to find that, problem was other than the tube lineup the circuit was different. So after getting the chassis chromed and reinstalling sockets, coil cans, and tuning condensers, the restoration came to a halt. I still have to repaint the metal case in black wrinkle finish and do some wood repair and paint on the stand that came with the set. Hopefully that won't be another 10 years. Dang! How many of us would have given up by now? Well done, and congratulations on being steadfast! Looks very nice. I am in awe. 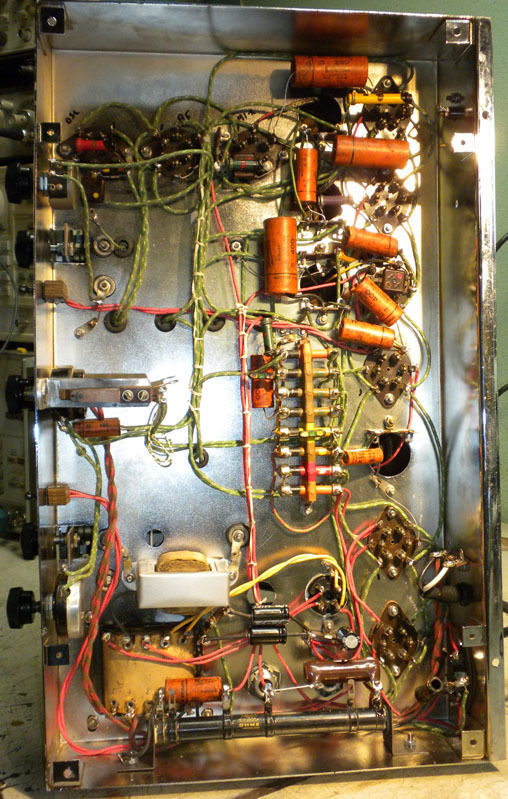 I thought I had tackled a few tough radio restorations, but that is truly bringing back the dead. So...this is a plug-in coil set I see. I wonder if that is the McMurdo Silver patent design that Silver was squabbling with James Millen at National about, i.e. that National was infringing with the first HRO. Bravo!!!! Labor of love, looks great!! When I scrolled down to the first pic I chuckled and thought to myself " where is the chrome chassis?" There isn't much to adjust in the RF sections, the A box has only the Oscillator high & low adjustments, B box has no adjustments, C box has Oscillator high adjustment, D box has RF, Mixer & Oscillator high adjustments. It has and "E" plug-in and covers 820KHz to 2.2MHz, an odd range to be sure. I measured gain of 21dB @ 2MHz sloping down to a loss of 7dB at 820KHz. I would like to find additional coil boxes for it. 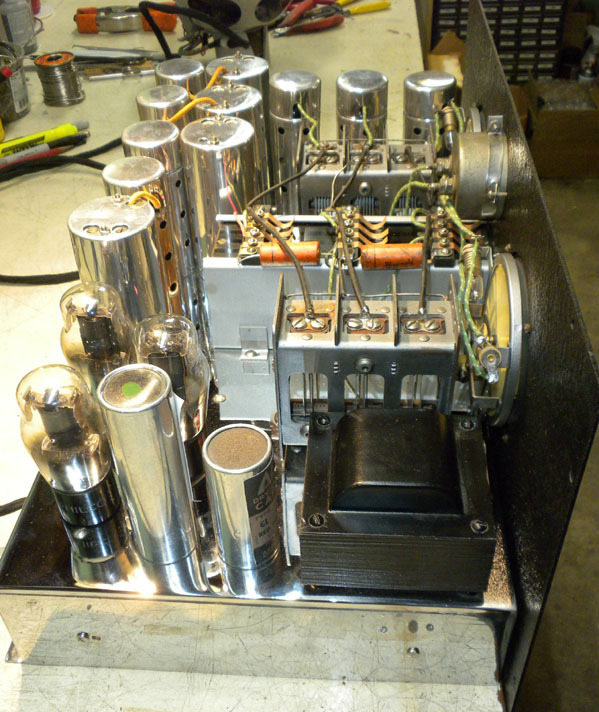 It uses two 78 tubes for amplification and a 37 as the rectifier. That will make an even nicer looking setup with the preselector. I suspect there is an issue in the receiver because I would expect much better sensitivity from this setup, at least up to 20 Mhz. or so. Do some tube substitution if you have spares (start with the RF stage, mixer, and HFO) and you can also use your signal generator as a substitute for the HFO to see whether low HFO injection level is the problem. Signal tracing may also prove useful. A much simpler set should recover a very loud signal in the 50 uv range so gain is low somewhere. Check the RF gain pot to make sure it isn't the issue. Congratulations again on taking that project and doing so much with it! Nice. 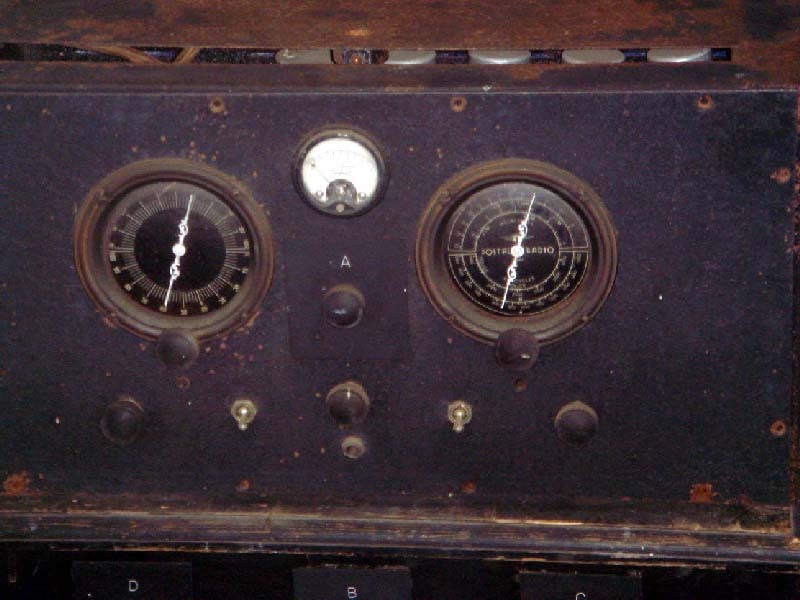 Those are the setups that us pre-war radio nuts dream of finding, and you did a marvelous job reviving it. And then you found the preselector too (because I'm sure they're as common as stink bugs, right)? Chuck, what a masterful job on a very worthy set. You have created a real treasure. Thanks for the praise on the restoration. It was a labor of love as I will never recoup my costs in labor or parts on this project. 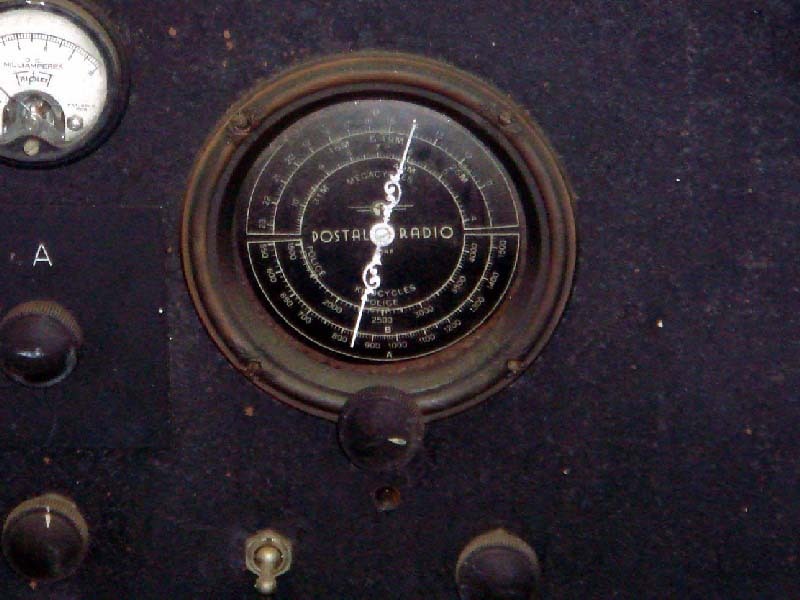 I did spend a lot of time recently searching through Radio Craft, Radio News, Radio World, Short Wave Radio & Shortwave Craft for any information on the Postal radio line. It appears they started advertising for the Model 9 in the Oct 1933 issue of Radio News which also included an article about it. The Model 35 appears to have been first announced in the Nov 1934 issue of Short Wave Craft with ads and an article. The last Postal advertisement I could find was in the July 1935 issue of Short Wave Craft. 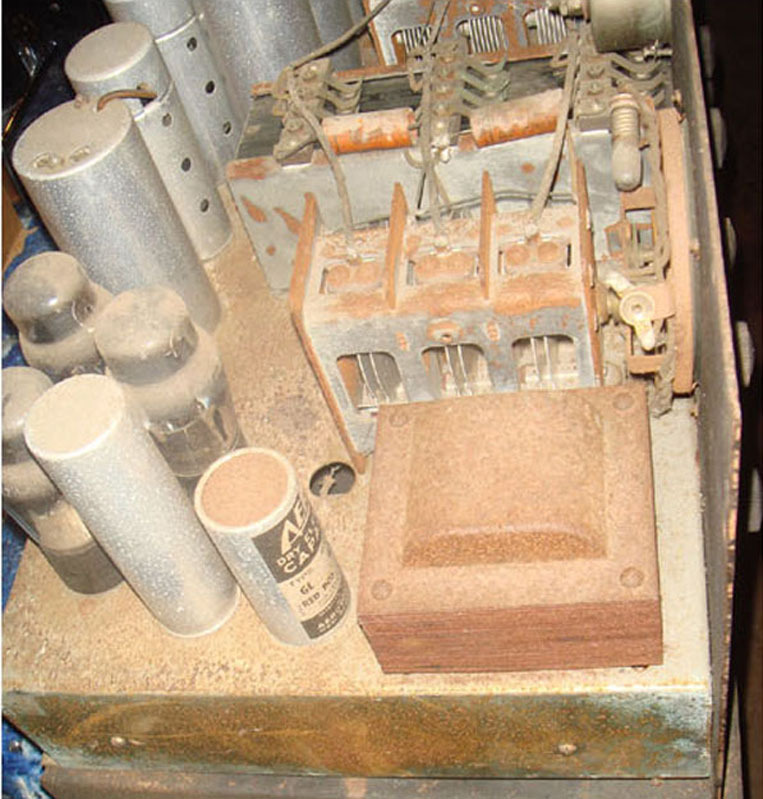 In Dec 1933 Postal advertised a small 4 tube AC-DC receiver in a wood grained metal cabinet for $18.95, Postal also produced two versions of a SW converter and SW booster/preselector in 1934 & '35. 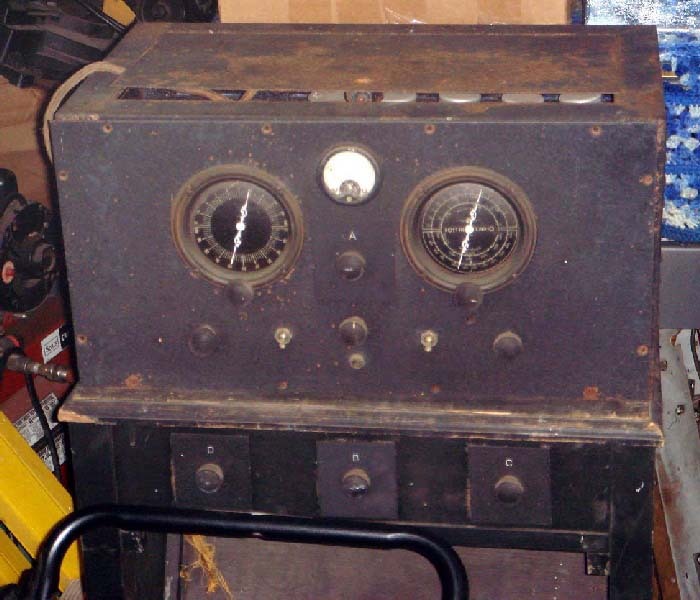 In 1934 they advertised a car radio line and in Feb 1935 they announced a new SW radio that used band switches instead of plug-in coil drawers and looked like a tombstone radio. From the advertisement timeline, I believe they were in business from mid 1933 to mid 1935, after that I couldn't find any information about them. From the descriptions in the ads and articles it appeared the Model 9 and Model 35 were available as a kit of parts or as complete units. I've never seen or heard about another Model 35 turning up, a couple of Model 9's have surfaced in addition to a couple boosters and converters. 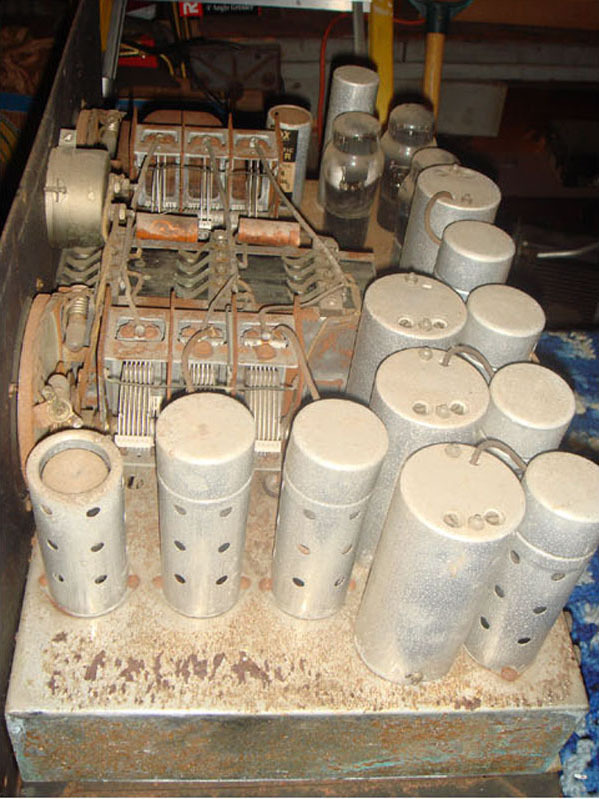 Except for the 4 tube AC-DC set no advertisements for the receivers had a price listed, all said to write for pricing. If anyone has any additional information on Postal or their radio line I would appreciate hearing from you.